﻿ Best Price on Hostal Condo-Parque in Santo Domingo + Reviews! This traditional-style hostel is located in the heart of Santo Domingo’s historic colonial area and features free continental breakfast. 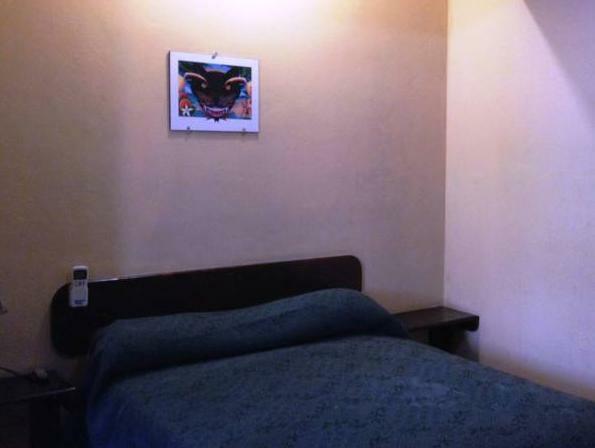 Hostal Condo-Parque offers guests complimentary public parking and Wi-Fi. The dormitories and rooms at this property come with simple décor, tiled floors and air conditioning. Some rooms have a cable TV and private bathroom. Guests enjoy an on-site cafeteria and bar, and other dining options can be found within 2625 feet of Hostal Condo-Parque. Santo Domingo’s palm-tree lined pier, which offers sightseeing and nightlife, is only a 10-minute walk away. The city’s iconic Plaza España is a 15-minute walk from the hostel. Las Americas International Airport is 16 mi from the property. Payment is also possible by bank transfer and PayPal. Please contact the property in advance for more information, using the contact details provided on your booking confirmation. Please note that payments by Pay Pal are also available on site. Please inform Hostal Condo-Parque of your expected arrival time in advance. You can use the Special Requests box when booking, or contact the property directly using the contact details in your confirmation.